So now what? I’ve been in the hospital for close to two hours. The doctors, nurses, interns, and other random people in generic blue scrubs have been kind enough. Still, I can almost hear their thoughts settling over me like some kind of malevolent fog. I’m just another overdose. I’m a dope fiend they have squandered resources on. They have given me another chance to live, but they recognize that it is really only a brief reprieve. They know, with a certainty born of too much experience with too many others just like me, exactly how my story will end. I know too. They will see me again if I’m lucky. Sooner or later, they will get to me too late. The youngish doc standing over me is polite, but disengaged. It’s more than professional detachment. I understand why. It’s much harder to watch me self-destruct if I have a personality and identity beyond a name and date of birth on a chart. I recognize him. He has saved my life before. There’s a dreadful resignation in his bright green eyes when he looks at me. Also pity. Some have looked at me with disgust, and now I wonder which is worse. I pretend to rearrange the myriad wires tethering me to the hospital bed so I don’t have to make eye contact. In a few minutes they will release me. Which leads me back to the question at hand: So now what? What I have chronicled is a rough sketch of a brief moment in time. It’s a recap of the internal monologue of an addict at his breaking point. That was the last time I got high. 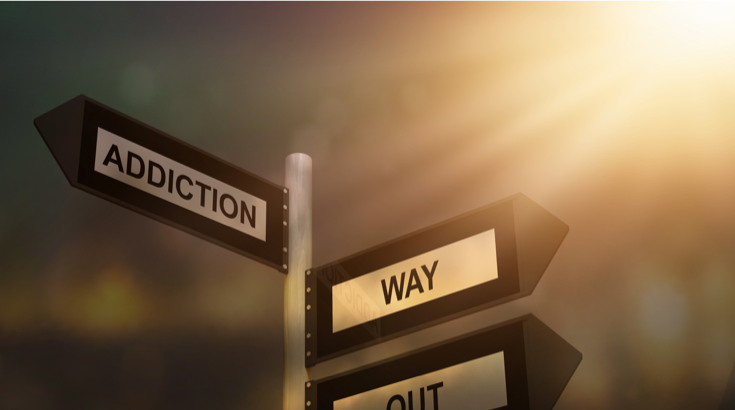 The people I found in Narcotics Anonymous told me I never had to use drugs again. I had nothing at all to offer when I came into the rooms of NA. Fortunately, no one seemed to expect me to. They were ok with my brokenness. They encouraged me to surrender. Since I had nothing left to lose, I took their suggestions. With the admission of powerlessness, my spiritual journey began in earnest. It’s early in the process of recovery. There is so much every day to learn if I only stay open minded. I feel pain, sadness, exhilaration, pleasure, and a plethora of other emotions I can’t even identify. Sometimes they threaten to overwhelm me. I’m just so used to feeling numb. There are rare moments of real joy and I hold on to those moments like my life depends on them. More than anything, I never forget that last time. And just for today, I don’t have to get high.